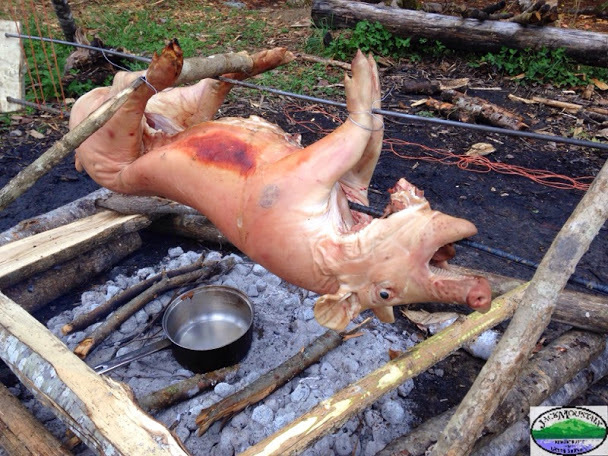 Roasting a pig in camp today. Going to be an epic supper. Next: Roast hog, dutch oven cakes, sourdough bread: living like kings!